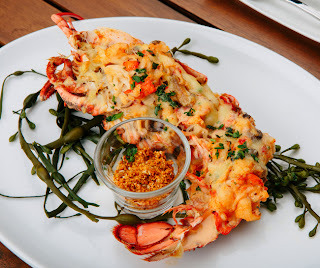 San Diego chef and restaurateur, Matt Gordon, will officially unveil Del Mar’s newest American-style brasserie - Sea & Smoke - to the public on July 24, 2013. 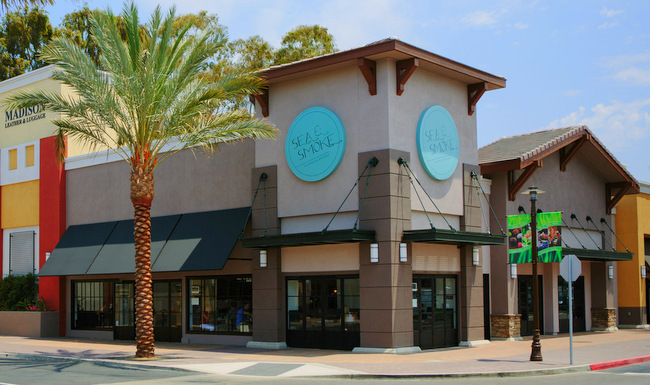 Sea & Smoke is Gordon’s third restaurant, following award-winning Urban Solace in North Park and Solace & The Moonlight Lounge in Encinitas. Best known for his comfort foods created with healthful and sustainable ingredients, Gordon will explore a modern and unique interpretation of an American menu with the flavors of a wood-fired oven, a focal point of the Sea & Smoke space. Gordon will introduce new spins on familiar dishes that pair simplicity with bold flavor, with a menu offering an a la carte selection of roasted meats, seafood and vegetables with a “for one, or for the table” approach, in addition to classic, yet inventive breakfast selections. Signature dishes will include the Sea & Smoke starter with cold smoked pacific oysters and “clam dip” with squid ink crackers and lemon chutney; a selection of Tartines on house made open-faced bread from the wood fired oven; Cedar Plank Roasted Wild Alaskan Salmon with pomegranate gastrique; Dry Aged Paso Prime Grass-fed Burger with smoked onion jam, gruyere cheese and black olive aioli; Shell Baked Diver Scallops with oil cured black olive crust; “Blackened” Yellowtail Crudo with jalapeno ash, fresh lime, jicama and compressed watermelon, and a Frittata with arugula pesto, oven dried tomatoes, grilled squash, basil and feta. All breads, sea salt, ice creams and sorbets will be made in house. Drinks will highlight modern twists of classic American cocktails with many made of small batch American spirits, in addition to fresh juices, a healthy and natural alternative. Prices will range from $20 - $40 for meats and seafood, salads from $10-$13, vegetarian dishes from $12-$24, starters from $2-$16 and all sides at $5 each. Sea & Smoke is located in the Flower Hill Promenade (290 Via de la Valle, Del Mar, CA, 92014) and will offer lunch and dinner from 11:00 a.m. to 10 p.m. Monday through Friday, and breakfast, lunch and dinner from 7:30 a.m. to midnight Saturday and Sunday. Breakfast will be served every day at 7:30 a.m. starting Monday, July 29. For more information please visit seaandsmoke.com, Facebook and Twitter.